Indeed 😀 they are perfect for Halloween!! Happy and fun Halloween to you too, Lisa! What lovely dolls. I always wanted one like that as a little girl. Maybe i’ll get around to gifting myself one as an old lady! I hope you are having a wonderful Halloween, Inese. Hugs! 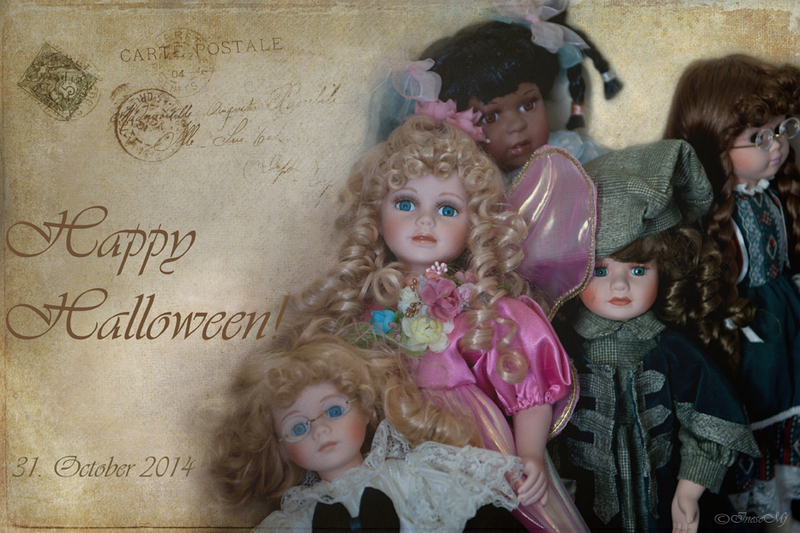 Have a fun Halloween! Hugs! Same to you. Very nice image also. Happy Halloween! Enjoy the day! !